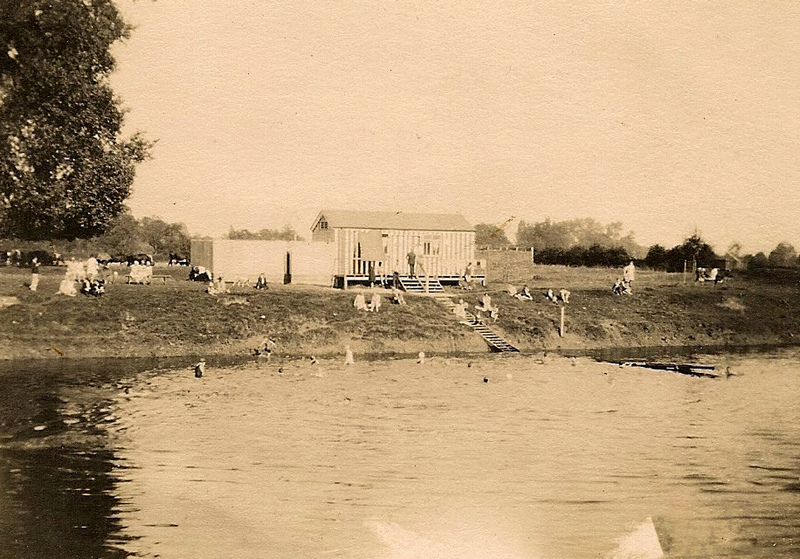 Many people learned to swim in the Wye at the municipal bathing station, commonly known as The Bassom, on Bartonsham Meadows. People regularly took an early morning swim in the river: the late Margo Edwards recalled in In Our Age how she and her aunt would swim every morning at 7.00 a.m. before they started work at the laundry in Rockfield Road. Back in 1915 the Hereford Times reported that the Wye in a ‘splendid condition, being both fresh and of a comfortable temperature the advent of summer weather saw bathing commenced in the Wye at the Bartonsham Bathing Station, maintained by the Town Council.’ In its first week of the season the station tempted 369 bathers ‘including 30 ladies on Thursday afternoon’ into the water. With the usual custodian on military service, Police Constable F. Bromage, the nephew of former attendant, Reuben Bromage, was on river watch with Tom Preece ‘in charge of the boat’. The bathers enjoyed the facilities of a new open air annex and the singular attraction of a host of young men out of khaki: ‘Every morning the swimming members of the Royal Army Medical Corps in training at the Barracks, parade for a river bathe, and at least 50 enjoy the matutinal plunge at the Bartonsham,’ reported the newspaper. In 1918 the Times reported that swimming was available for ‘bathers of both sexes’ at the Station when it reopened that May after having been closed early due to floods the previous September. According to the newspaper ‘atmospherical conditions were favourable, the temperature being at summer heat, and the water beautifully clear’. 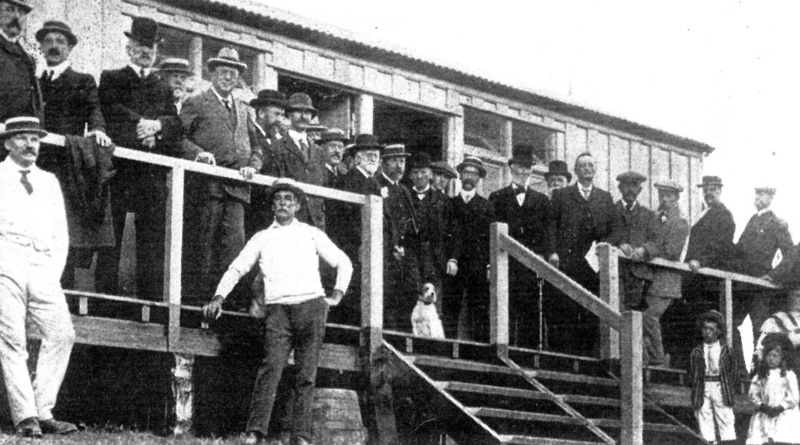 Alf Evans recalled the Bassom in 1916 for In Our Age: “An old man was the chief attendant of Bartonsham bathing station. He lived at St. Martins Avenue and he had a punt.” Alf’s grandparents ran the Wye Inn, at Hunderton. “Of course, being at the Wye I often had a pint of beer in my haversack. I’d walk up the river and he would spot me and row across. The other boys couldn't understand why I had this privilege, you see but of course it was the bottle of beer! At least one soldier was reported to have drowned.